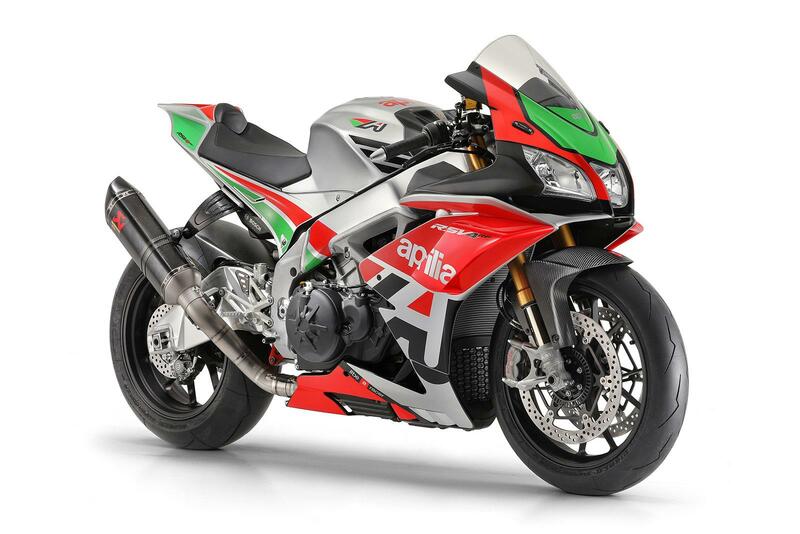 Aprilia have announced a Factory Works kit for their stunning RSV4 RF and RR sportsbikes, which increases power to 215bhp and includes aerodynamic winglets, as featured on today’s crop of MotoGP missiles. 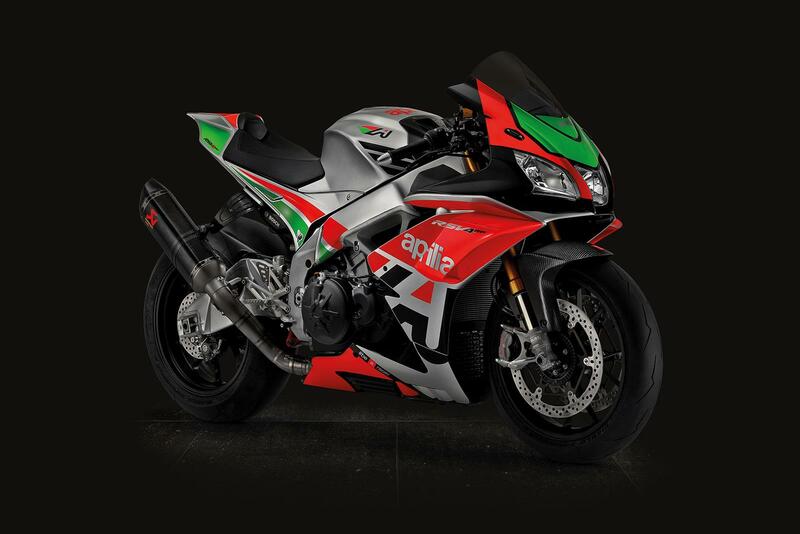 Carbon parts, a lighter fuel tank, lithium-ion battery and Akrapovic exhaust system are also available and bring the weight down by 10kg. The kit also includes a number of parts for the engine which together significantly increase the power. 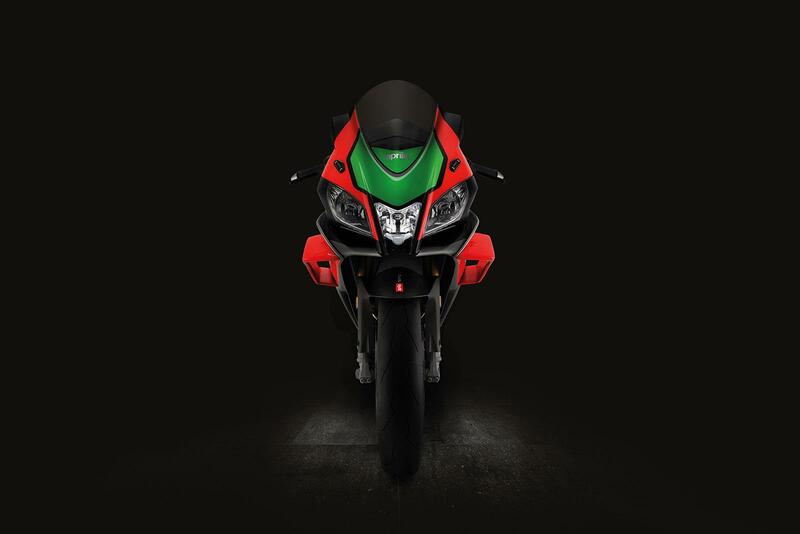 Single-groove pistons with a surface treatment reduce effort and give a smoother action, giving a 4bhp increase alone. A cylinder head kit helps improve fluid dynamics to the intake and exhaust ducts. This is further aided by new springs, valves and related caps while new camshafts that feature a surface treatment reduce friction even further. 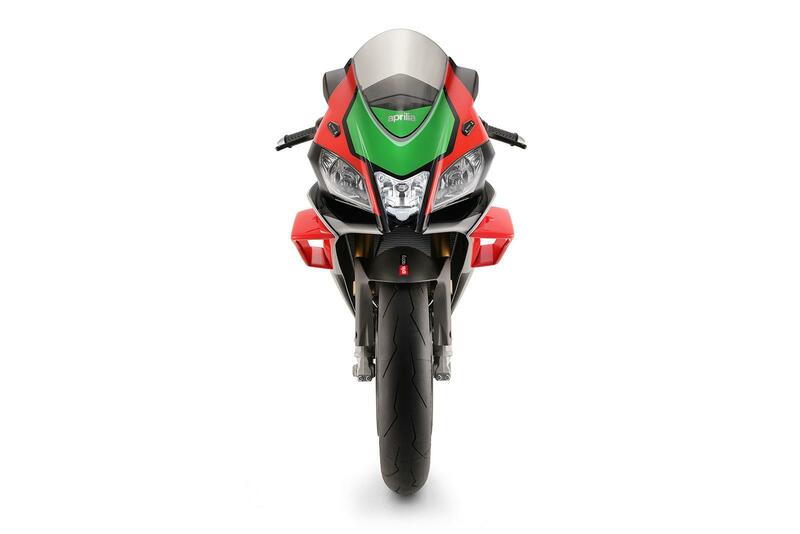 Combined with the Akrapovic system and a new ECU that features a map for the exhaust, Aprilia claim that the max power increases to 215hp at the crank. 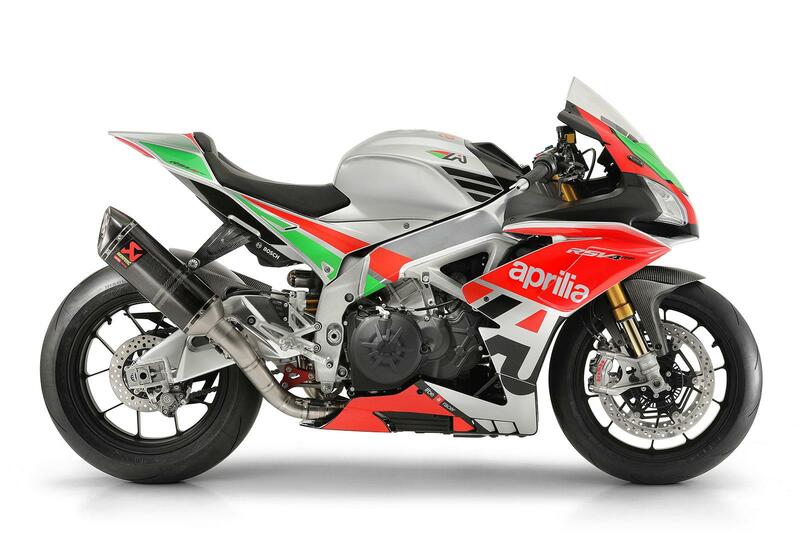 Giving it that true full-factory look, and also improving aerodynamics are the side fairings that feature winglets. 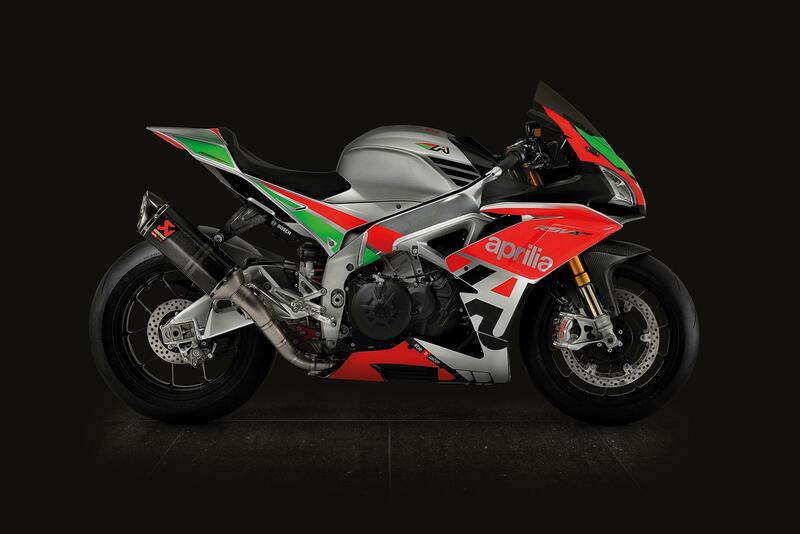 The wings are developed by the factory Aprilia Racing team and feature on the RS-GP MotoGP machines. Not only do they look trick, the winglets also help with stability. There’s no word on price yet, but don’t expect it to be cheap.